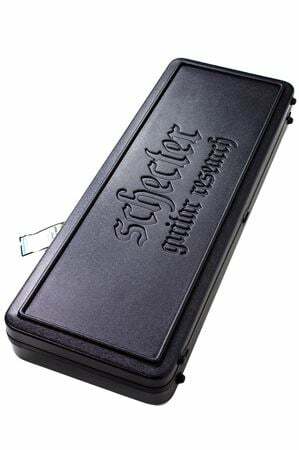 Shop Schecter SGR2A Case for Avenger and Synyster Gates from AMS with 0% Interest Payment Plans and Free Shipping. 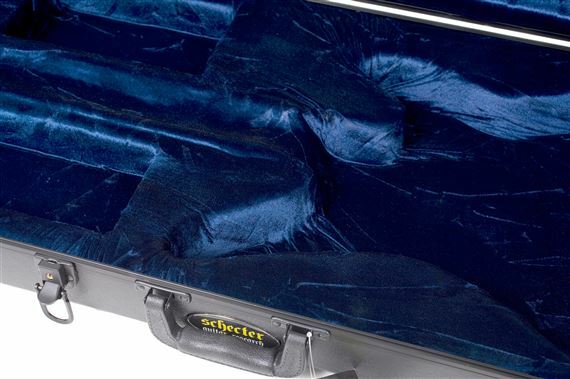 The ultimate protection for your Schecter Avenger or Synyster Gates Signature. 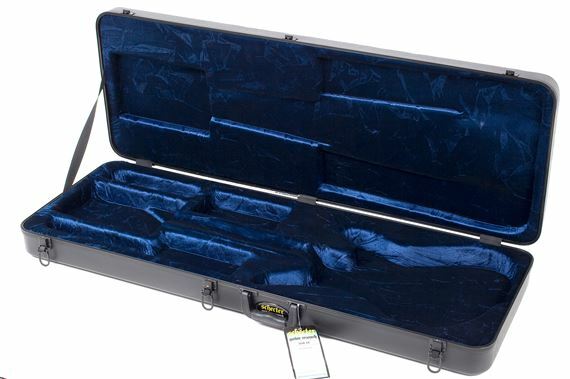 The plush interior and high quality construction to protect your guitar from dings and scratches at all times. Other features include accessory compartments, powder coated hardware and locking drawbolt latches. Schecter Model number: SGR-2A. Good build. Very similar to the cases that Musicman makes for their guitars and basses. Great case. Guitar fits perfectly and is very well protected. Nice item. Beautiful interior. I neededicated to buy a new case, and AM had this in stock, so I jumped on it, and it arrived a couple days later. I wouldn't want to return this at all. Fits the guitar perfect, the outside seems a little flimsy. This case fits my Avenger Damien Elite very well. While it is not the highest quality case out there, it is a very good case. I got a great deal and my husband was super pleased! We love Schecter! The case was very well made. It has withstood the airline test and has made it from the US to Australia with not a problem. Havent had it long enough but it seems very robust. 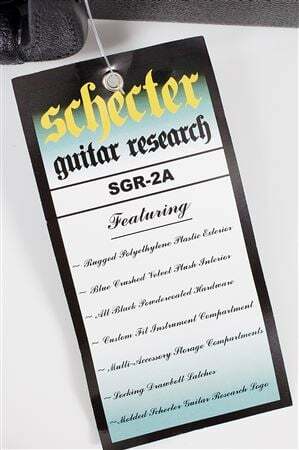 Very cool looking with the Schecter logo. It fits the guitar like a glove and will protect it. It is the only case (hard or soft) that I have found will fit the Synyster Gates or Avenger lines and I looked long and wide. Well finished. The inside is a crushed velour in blue.